Sorry, your browser doesn't support the canvas element. Please try with a modern browser! Click and drag to change rotation direction. Record spontaneous and evoked activity from acute brain slices from up to 252 electrodes simultaneously. 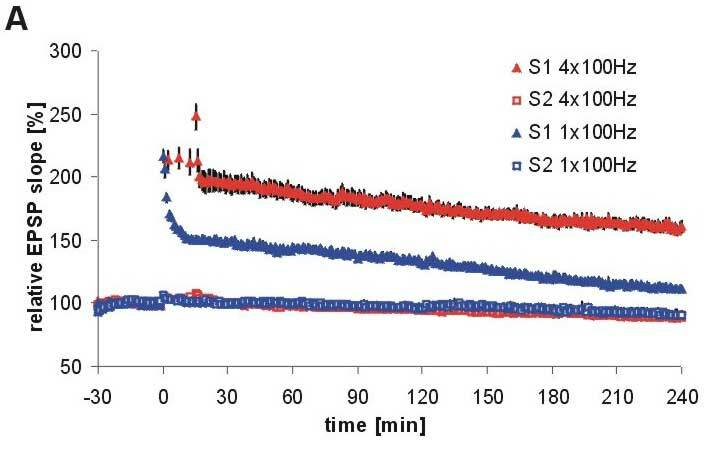 Spikes, the extracellular correlate of action potentials, can be recorded and sorted on line from cell and tissue cultures as well as acute slice preparations. 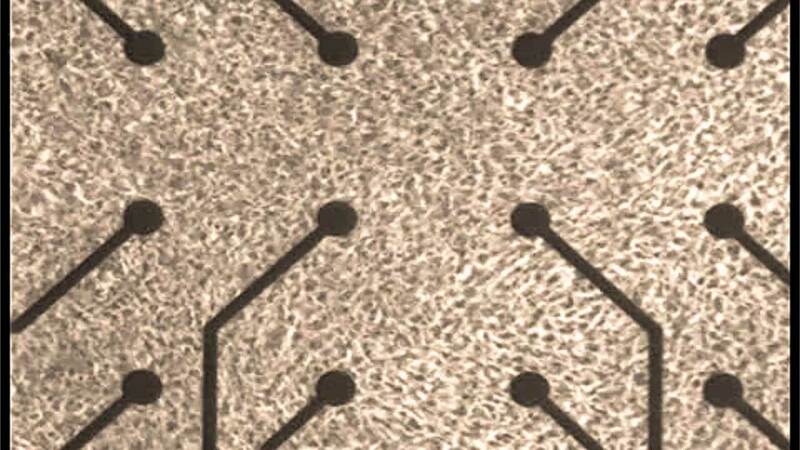 Cardiomyocytes have been recorded on microelectrode arrays since the early 1970’s. Nowadays, cardiomyocytes represent a valuable tool for drug discovery, safety pharmacology and basic research. We are looking at beating rate, conduction velocity and the duration and shape of the field potential to characterize novel drugs and the general behavior of cardiomyocytes for in vitro research. Action potentials generated by neurons can also be recorded as extracellular signals, usually called spikes. 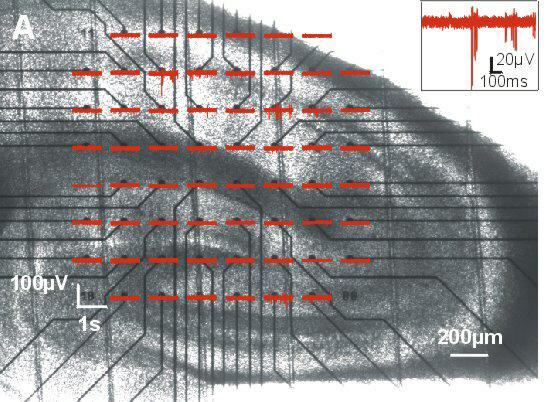 MEA recordings can sample spikes from thousands of neurons simultaneously. 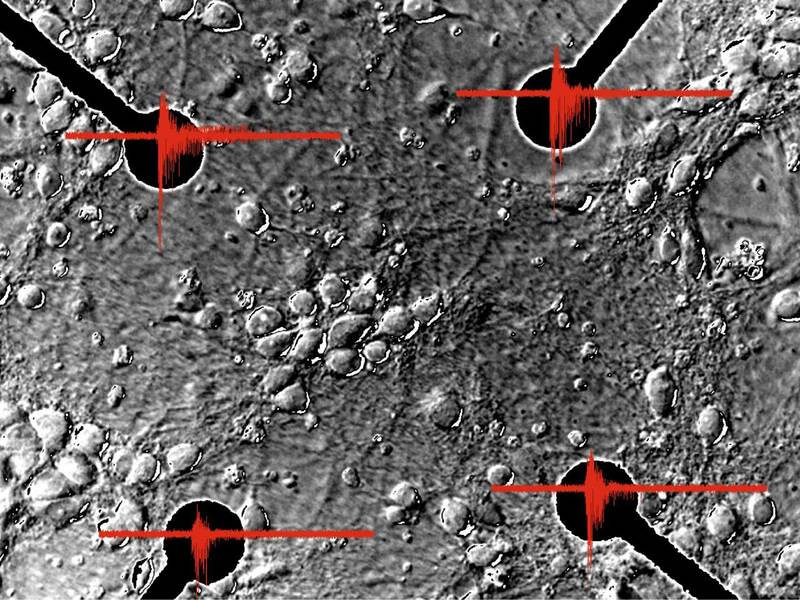 Only multiple recording sites, like they are provided by microelectrode arrays, allow monitoring the activity of a whole network of neurons. 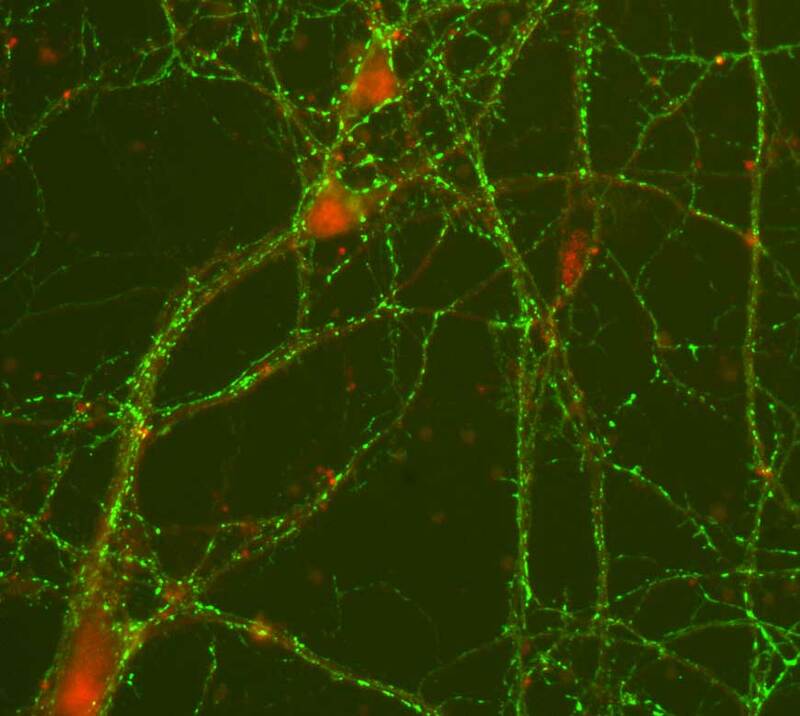 Neuronal networks from primary or stem cell derived neurons can easily be cultivated directly on the MEAs. 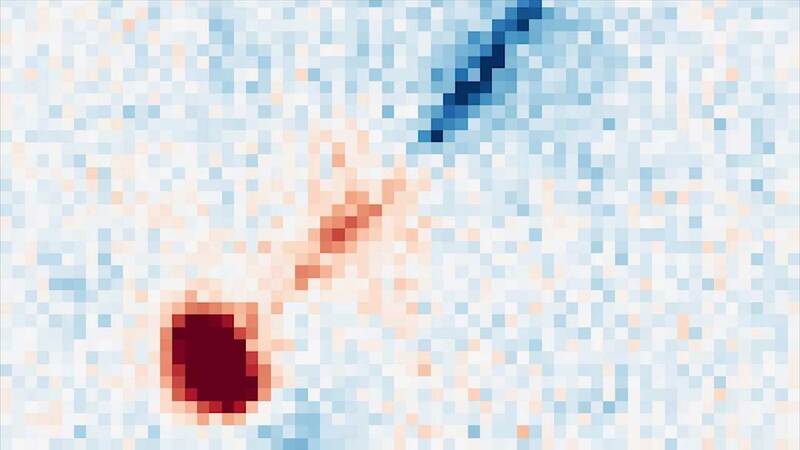 Classical experiments in the field of synaptic plasticity, like LTP or LTD, are easily performed on MEAs. The ability to freely choose a stimulation site by a simple mouse click makes experimental control fast and easy. Stem cells from a variety of different species have been differentiated to neurons or cardiomyocytes and successfully recorded on MEAs. Ion channels are a very important target in drug discovery and represent for more than 30 % of the novel drugs’ targets. Neurons and cardiomyocytes are characterized by the unique composition of ion channels determining the shape and duration of the action potential. 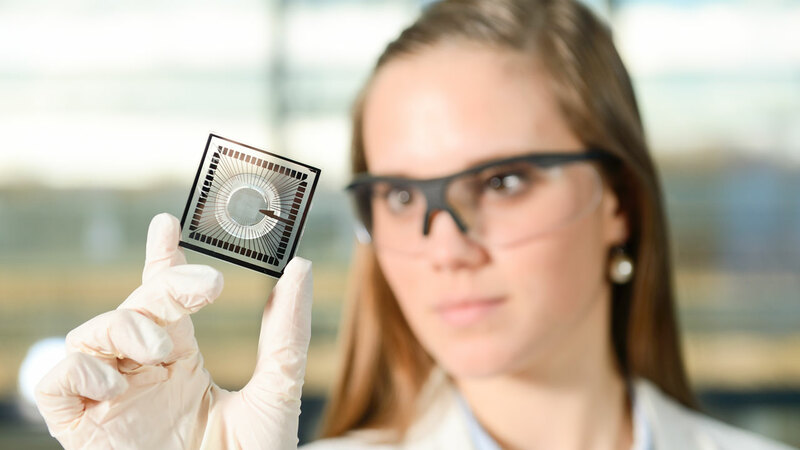 Using microelectrode array technology we can record these action potentials as field potentials and characterize the effects of drug candidates and unknown compounds on these very important cell types. MEA systems allow to acquire data from a patch clamp amplifier simultaneously to the MEA data as a separate channel in the same data file. In combination with human iPS cells, MEA technology offers a fast and non-invasive way for early drug discovery. 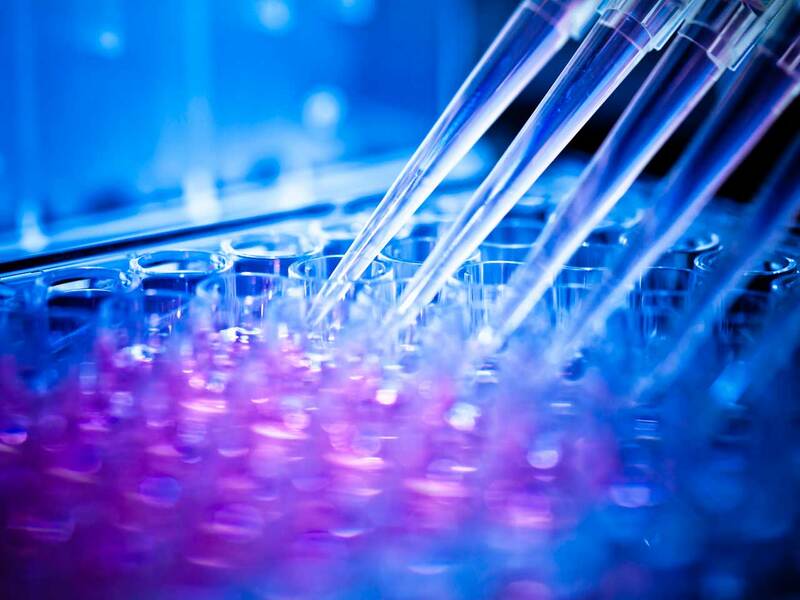 The possibility of simultaneous and continuous monitoring over a long period of time enables rapid testing of compounds for drug discovery. Ease of use is one of the hallmarks of MEA recordings. MEA technology provides a functional assay as a turnkey solution without the need for a trained electrophysiology specialist. Human induced pluripotent stem cells allows to mimic phenotypes of human mutations of cardiomyocytes and neurons in a very easy and sophisticated way. These cells represent gene defects and diseases and enable to determine the effects of small molecules and peptides on cardiomyocytes and neurons derived from human origin. Transparent MEAs with only 180 µm glass thickness allow simultaneous imaging and optical stimulation to make use of cutting edge optogenetical methods. Cardiomyocytes can be obtained from primary cell cultures or from ES and iPS stem cell models. These cells are cultured on MEA dishes and can be recorded from up to 252 electrodes simultaneously. Disease modelling, understanding arrhythmia and screening for drug side effects are among the few key applications of this assay. 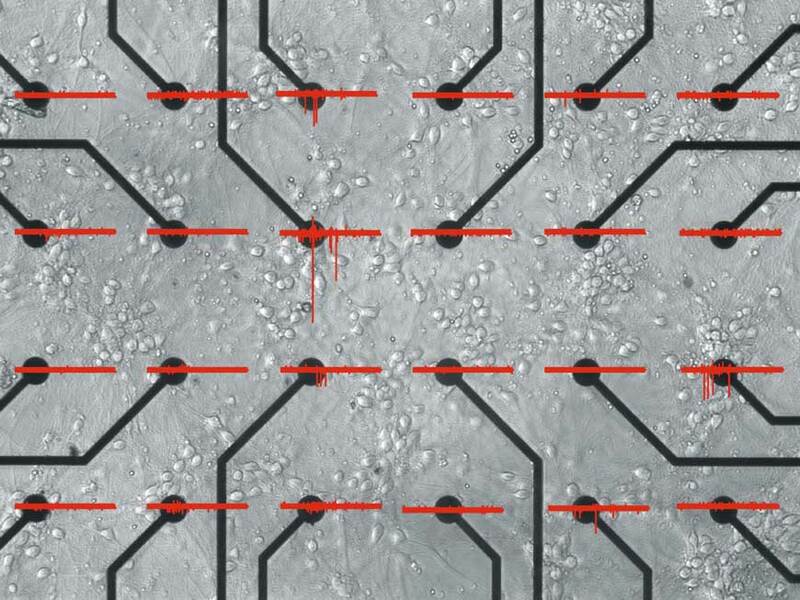 Primary cardiomyocytes cultured on a microelectrode array are beating spontaneously. The signal shape is displayed in the insert. CMOS based sensor arrays with 4225 recording spots allow high spatial resolution combined with an unparalleled time resolution of 25 kHz. In addition, 1024 stimulation sites are available for focused or wide area electrical stimulation. The CMOS-MEA-5000 system is suitable for recordings from cell culture, as well as from slice and retina preparations. Propagation of an average action potential along a single unmyelinated axon of a rat ganglion cell. The Multiwell-System unites the unique features of our MEA2100 product family with the throughput format required for an increased throughput. 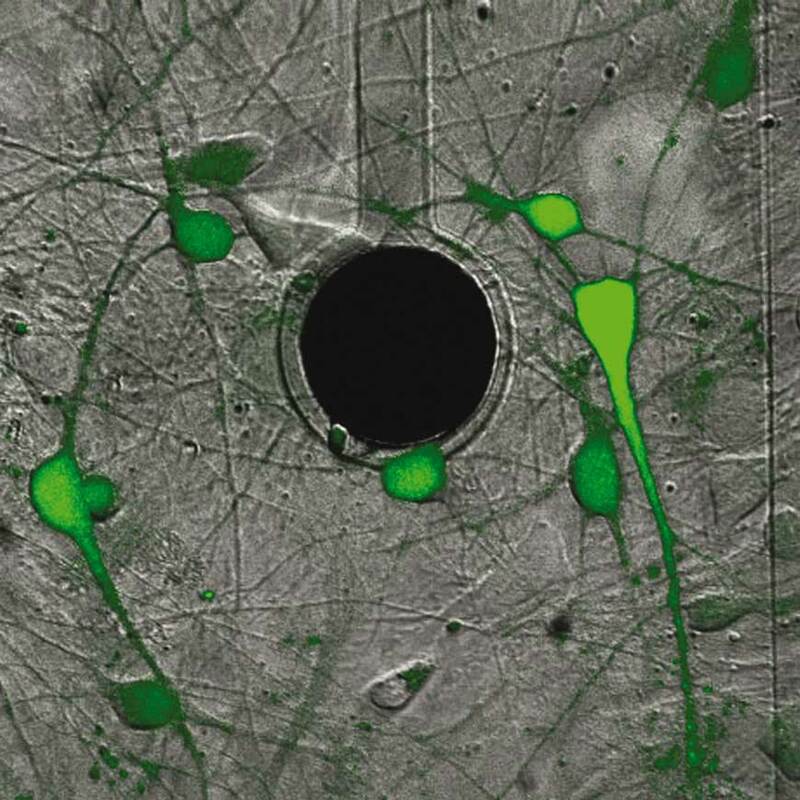 Cardiomyocytes and neurons can be cultured, recorded and stimulated in up to 96 wells in parallel. The Multiwell-System is designed to be integrated into an automated screening environment. Multiplexed drug addition to 96 well plates with embedded electrodes in the bottom of the plate allows a high throughput testing of beating cardiomyocytes or spiking neurons. 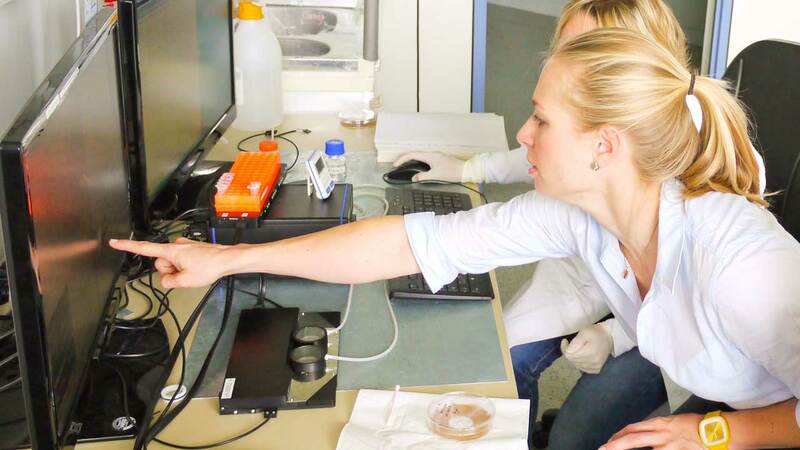 MEA recordings can be performed on cells cultivated on the arrays, as well as on acute slice preparations or tissue cultures. Non-invasive and stable long term recordings or repeated measurements from the same specimen are key advantages of the MEA technology. Moreover, the same system can be used for all kinds of preparations. With the MEA2100-System, the CMOS-MEA5000-System and the Multiwell-MEA-System, Multi Channel Systems covers the complete range from basic research over high resolution electrophysiology to high throughput screening. Featuring an unmatched sampling rate of up to 50 kHz per channel, all MCS hardware ensures the highest and most accurate data quality. For more detailed information on the systems, please go the MCS website. 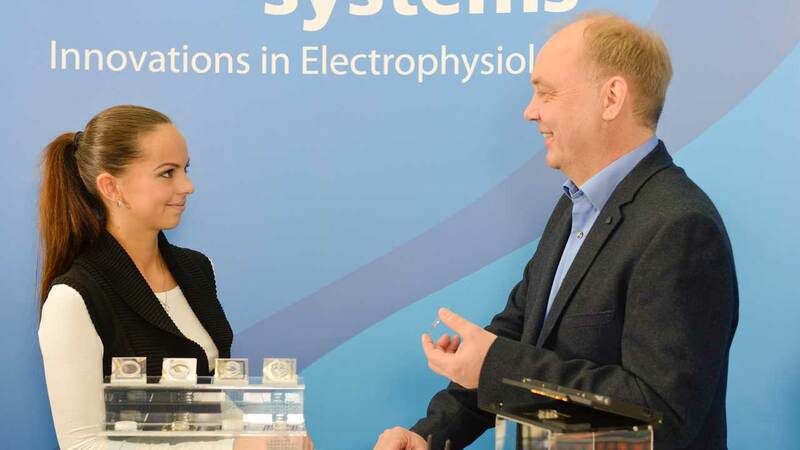 MCS provides the widest variety of high-quality, low-impedance microelectrode arrays. From 32 to 252 electrodes, as well as CMOS-Chips with 4225 electrodes and multiwell plates with up to 96-wells: Get them all from MCS. MCS is well-known for reliable, powerful, and compact hardware. In most systems, amplification, data acquisition, and stimulation are integrated in one device. This makes it a simple addition to your laboratory, because it easily fits on your microscope or lab bench. Given that the electrodes on the MEAs are made of the stable material Titanium Nitride, they can be reused several times. Cleaning is easy (instructions are provided in the manual) and the MEAs can be autoclaved for sterilization and plasma-cleaned for better cell-adhesion. All MCS-Systems come with corresponding software. Updates are available for free anytime from our website. MCS software is always easy-to-use, providing an intuitive graphical user interface. Most software packages consist of two tools: one for data acquisition and online analysis and another for offline data analysis. All programs can be installed on an unlimited number of computers. 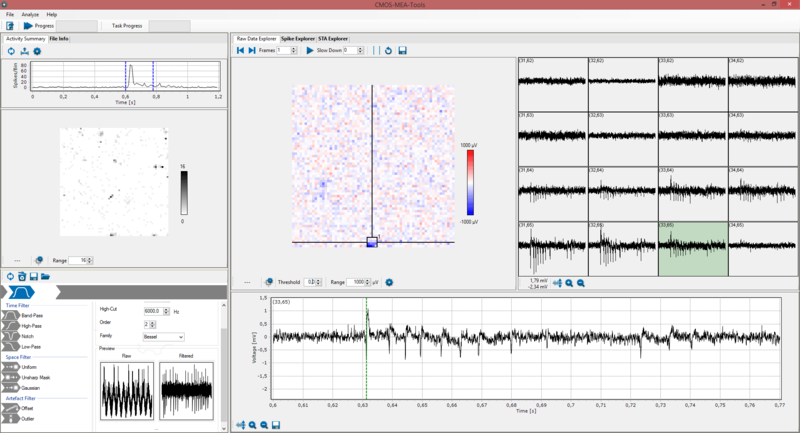 Providing tools for data acquisition and analysis, the Multi Channel Suite is a reliable, flexible, yet powerful software for electrophysiological experiments. 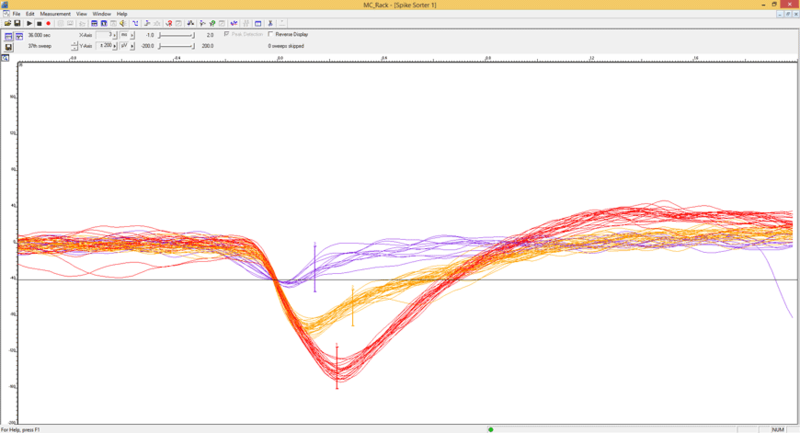 From filters to spike detection and stimulation, the software offers various instruments that can be combined easily via drag-and-drop. It comes with all MEA-Systems and can be downloaded for free from the MCS website. 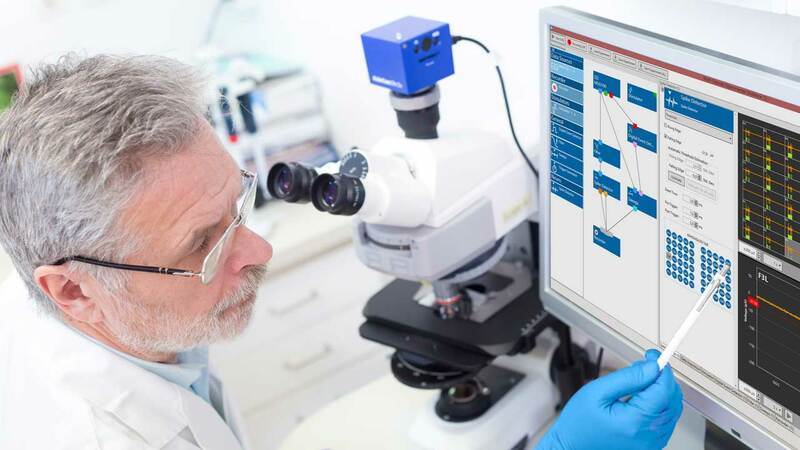 Acquisition and analysis of data from 4225 channels is a challenge, but the CMOS-MEA-Control software makes it easy. 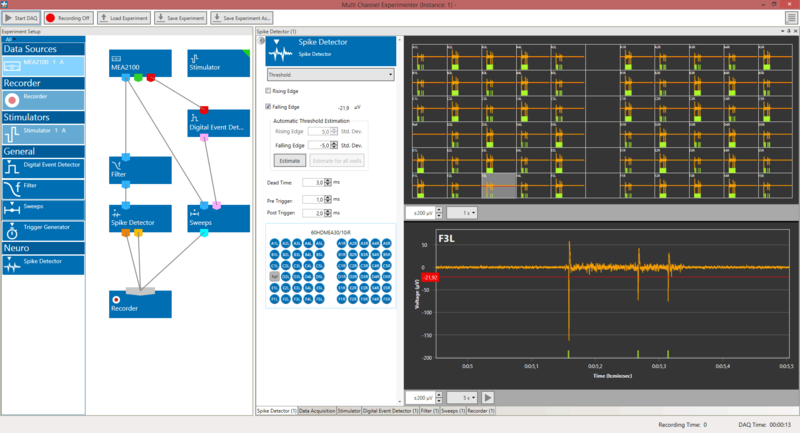 It provides a real-time overview on the complete chip and various tools for detailed offline analysis. 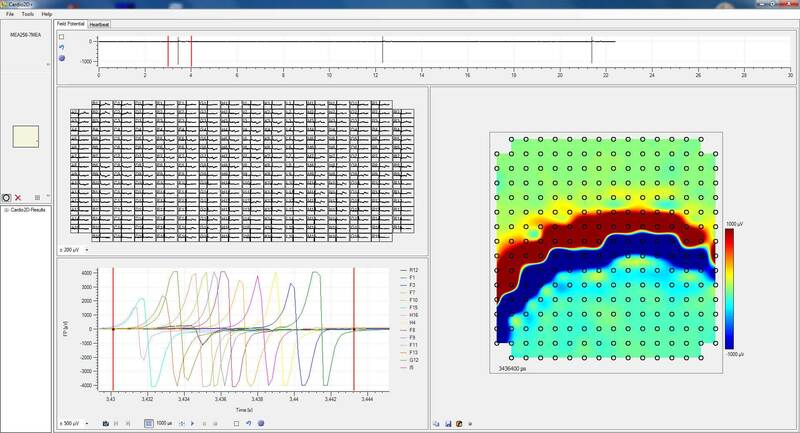 The Multiwell-Screen software, which comes with all Multiwell-MEA-Systems, is easy to use, intuitive and guides you through the experiment while offering in-depth analysis. When starting your experiment, you choose between neuronal and cardiac applications and the software then provides instruments according to your experimental needs. 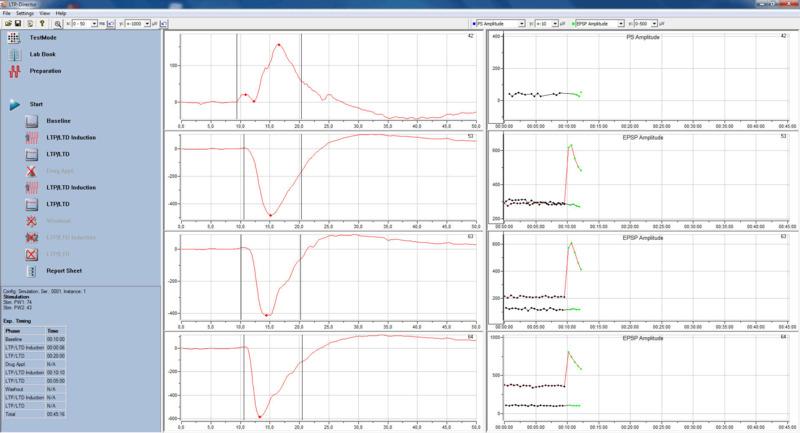 As you define your compounds in the software, dose-response curves are displayed online and only seconds after the experiment, you get a detailed report over all experimental parameters and results. 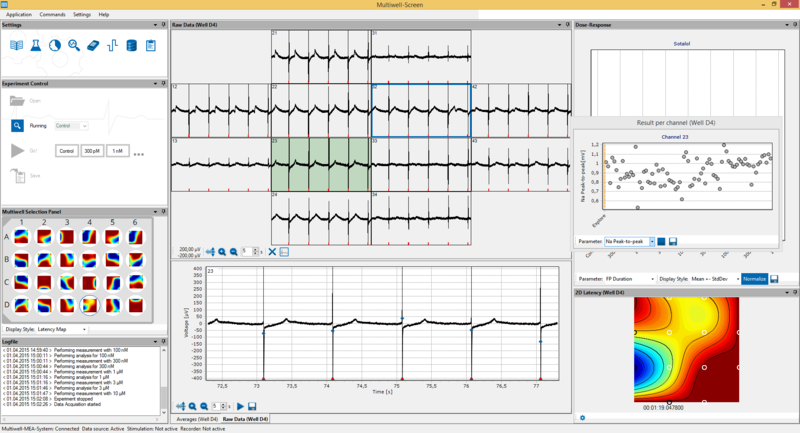 For acquiring and analyzing field potential data from cardiac cells or tissue, the Cardio2D software is the ideal tool. Providing instruments for mapping signal propagation patterns or measuring conduction velocity, Cardio2D is the perfect addition to your MEA2100-System. The LTP-Director is a specialized software solution to run standardized LTP (long-term potentiation) experiments in hippocampal slices. It features complete control of recording and stimulation, as well as automated perfusion, online data analysis, and documentation of the experiments. At MCS, your needs come first. We will provide complete solutions for your in vitro electrophysiological research. With over 50 employees, our goal is to provide you with the best hardware and software as well as support that you need. The whole team works closely together to deliver the best product and service to you at any time. To learn more about MCS and the different departments, please click here. 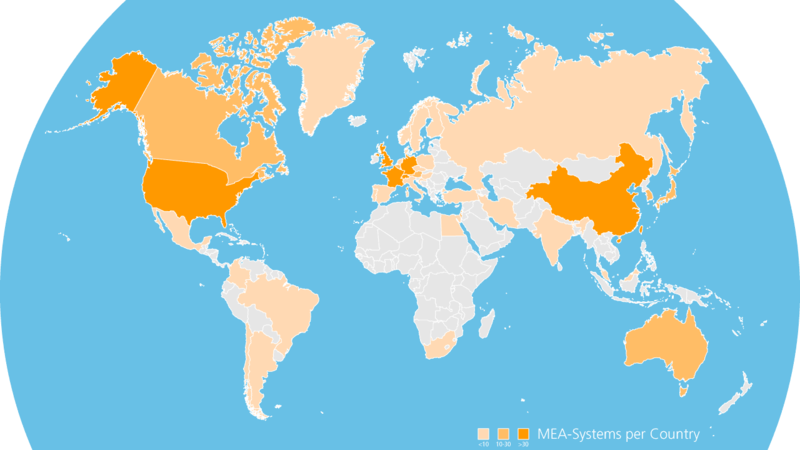 Serving the MEA community for over 20 years, MCS has achieved a worldwide distribution of MEA-Systems. In all marked areas, there is at least one lab working with our MEA-technology. Please let us know if you want to talk to one of the users – we are always happy to refer you to a lab in your region. MCS was founded at the NMI and is still collaborating very closely with the institute. 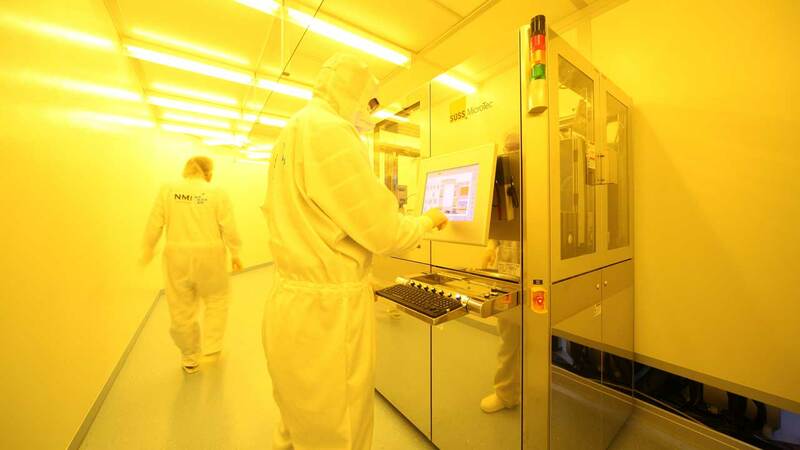 They produce our MEA chips in their clean rooms, ensuring a consistently high quality and making custom layouts possible. 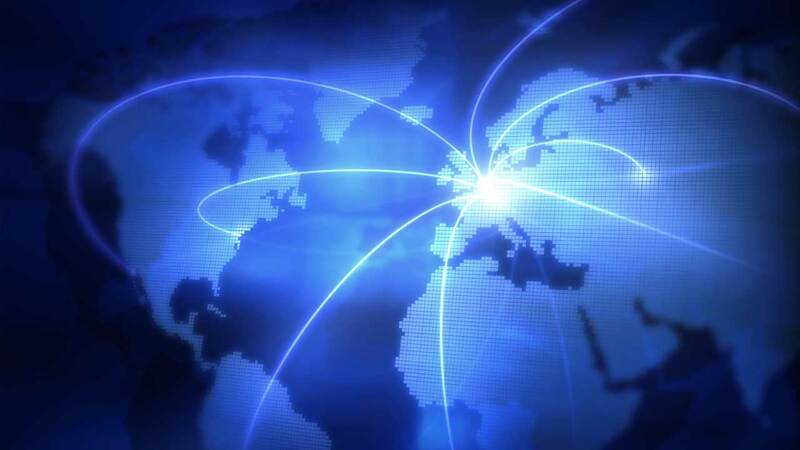 A global network of distribution partners makes sure you get good and quick support in any country in the world. Being thoroughly trained on MCS products, our partners can give you product demonstrations and help you in case you experience any problems. To find the optimal solution for your needs an MCS-consultant will visit your institute and demonstrate the products on site. 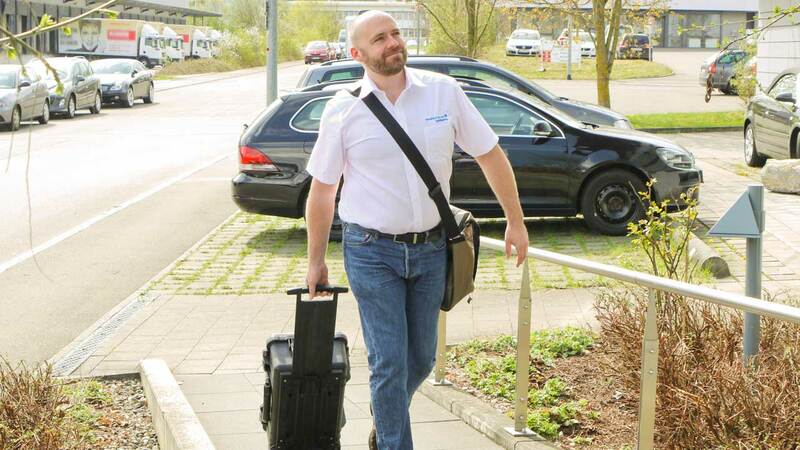 The MCS team is on tour throughout Europe regularly, so if you want to see the products in your laboratory, please use the contact form below and MCS will arrange to visit you. 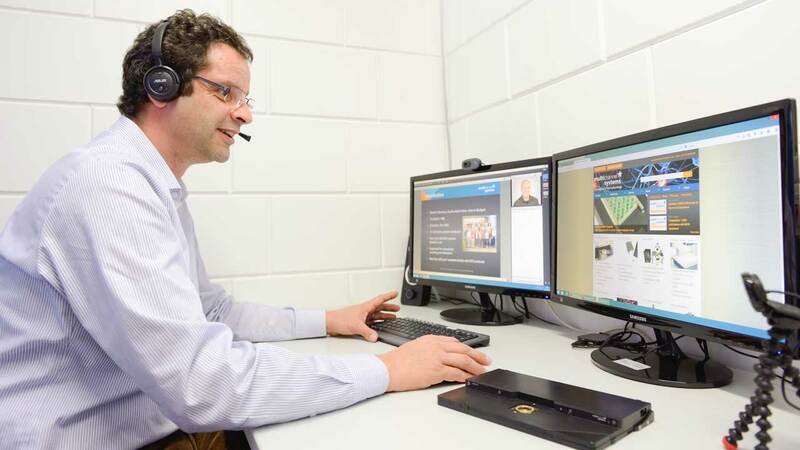 MCS offers a wide range of webinars explaining the products and their advantages for your research. You can easily sign up via the MCS website. All webinars are recorded, so you can always come back and watch a recorded session whenever you like. All webinars include a Q&A session, where the MCS-specialist will answer all of your questions about a product or its application. 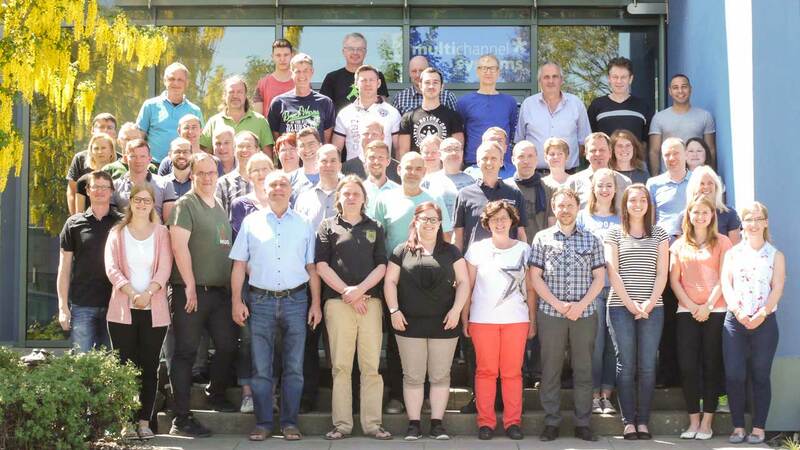 MCS has a team of experienced application scientists, who have worked with the MEA-System for years and are always available to help you with any issue. They are specialized in cardiac and neuronal electrophysiology respectively and are available via email, phone or Skype. MCS also has a user forum, where you can exchange your experiences and request help from other users. MCS exhibits its products at over 15 conferences every year. At the booth, you can see the products and our specialists can fully explain the features and give you a demonstration of the software. Conferences are always a great way to see new updates and to get in touch with the MCS team. The sales team is your permanent personal contact at MCS. Starting with early consideration on an adequate MEA-System up to long-term aftersales-service, they will remain with you throughout your relationship with us. They can recommend the right system for your experimental requirements, send you quotations and help you with any documentation you might need. The MCS sales team covers Europe (except UK), Latin America, Australia, India, and Africa. In other countries, MCS is supported by distribution partners. Note: Fields with light blue borders are required. Information you give us. This is information about you that you give us by filling in forms on our site www.multielectrodearrays.com (“our site”) or by corresponding with us by phone, e-mail or otherwise. It includes information you provide when you register to use our site, subscribe to our service, participate in discussion boards or other social media functions on our site, and when you report a problem with our site. The information you give us may include your name, address, e-mail address and phone number, financial and credit card information, personal description and photograph.